Starlit Flowers is a GxG kinetic visual novel developed by Cosmic Latté for NaNoRenO 2016. All writing and some script programming was done by Mandy and all art and GUI design / all programming was done by Momo. 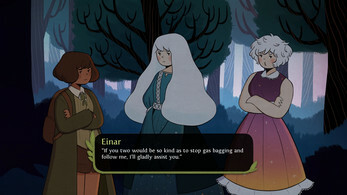 One night when Einar is traveling through the forest, she sees two stars descend from the sky. She inspects the crash site to find two strange girls that appear out of this world. Their names are Ailis and Cerise, they ask Einar to help them return home and claim they fell from the night sky. 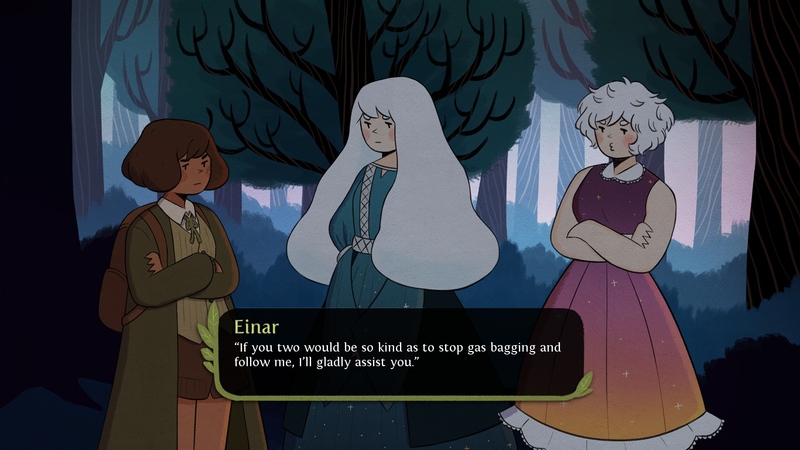 Einar is skeptical about their story, but she decides to help them out anyway. This is where their fun little adventure through the forest begins. As Einar gets to know the girls more, she starts to wonder if they're The Star guardians her deceased mother used to tell her stories about. Einar: Einar is a traveling herbalist. She wishes to help people with her herbalism. She's a stern and cynical person despite her caring nature, but she wasn't always this way. The death of her mother changed her. As she gets to know Ailis and Cerise she starts to lighten up a little. Ailis: Ailis appears withdrawn and apathetic. 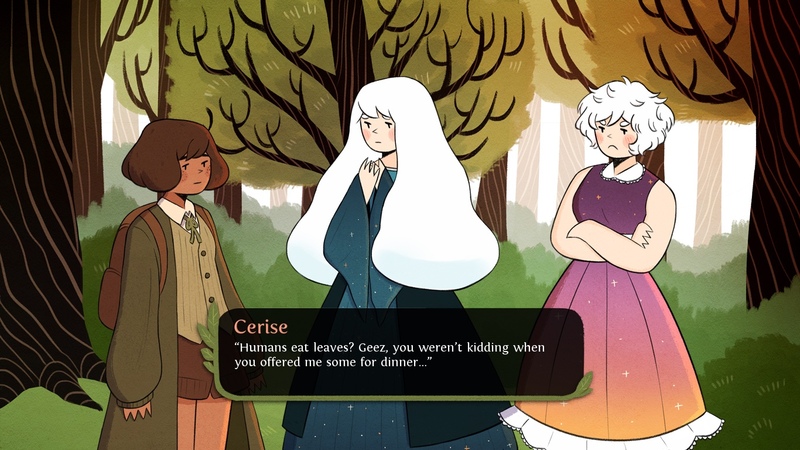 She doesn't get along with her counterpart Cerise, but she seems to open up to Einar. She's shy and kindhearted. 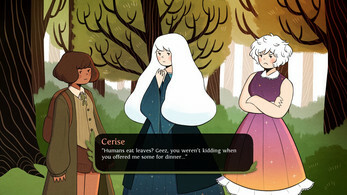 Cerise: Cerise is a bubbly and hot tempered girl who is constantly hungry. She enjoys teasing Ailis and at times Einar. She's a troublemaker, but a good friend at heart. 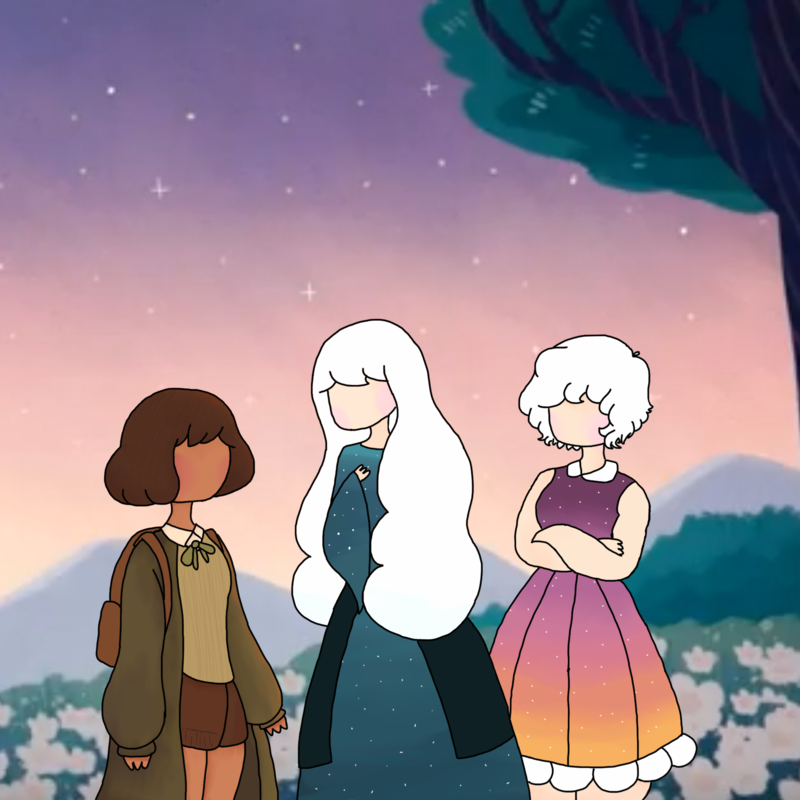 Starlit Flowers is a kinetic VN (with no choices) and is a story about forgiveness and acceptance. The cute girls and fluffy scenes are a plus! As well as a concept art gallery and a commentary from Mandy and Momo once you've finished the game. We hope you enjoy it~! this game made me cry, i love everything about it. The game was so cute! I absolutely loved it, like, every aspect was amazing! 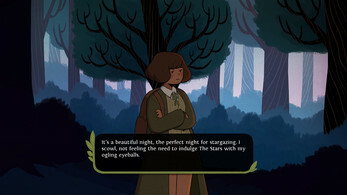 The music, the story, the art style! Amazing! I played and enjoyed this game. It was very sweet.